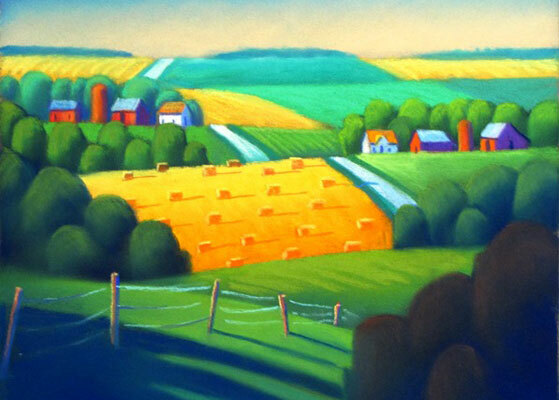 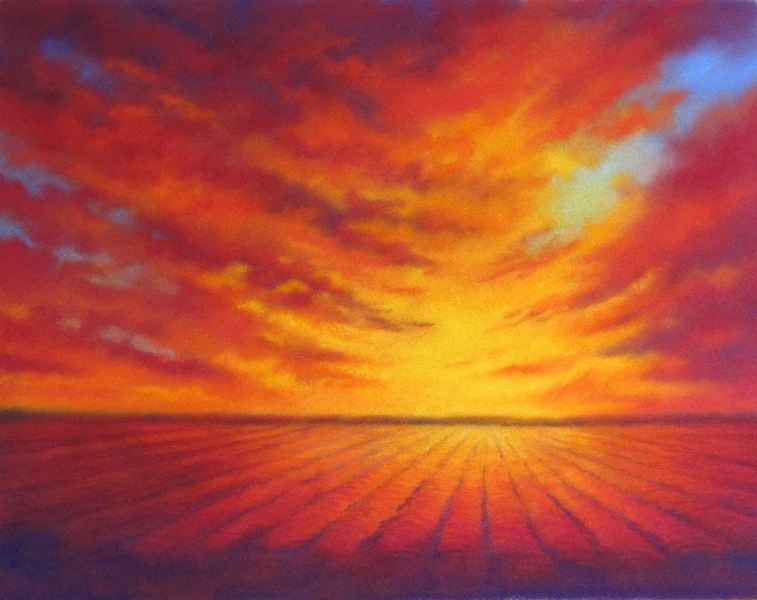 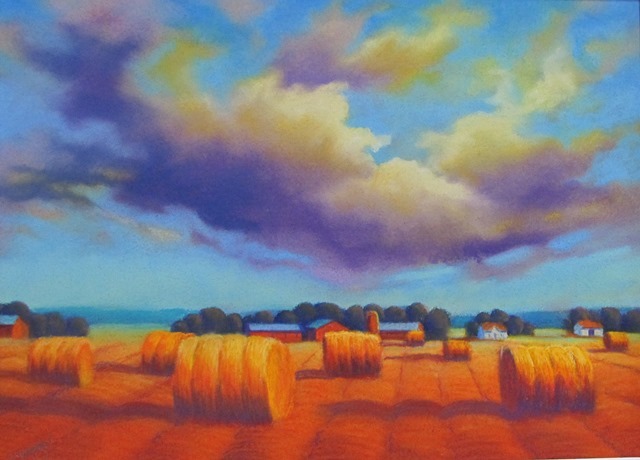 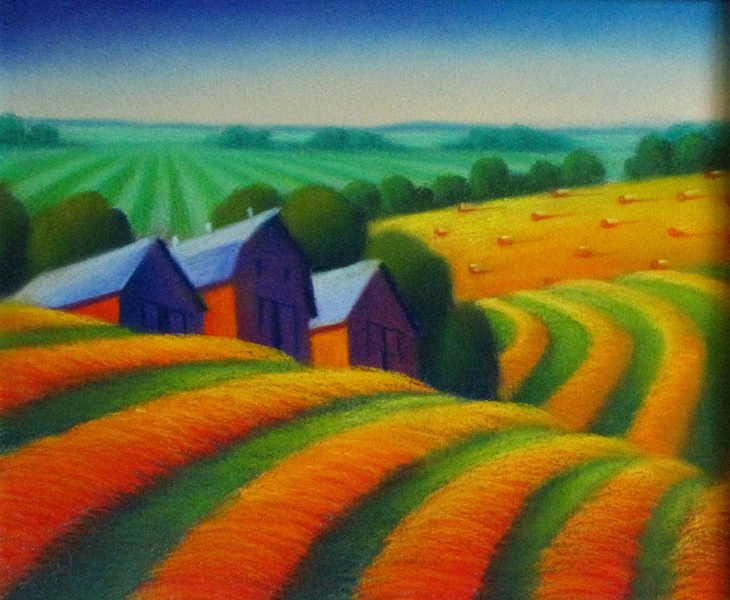 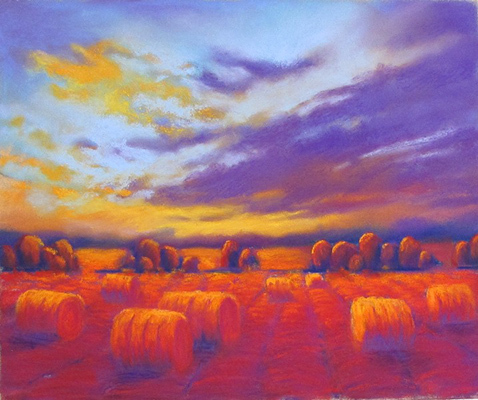 "My inspiration comes from what I know best; the earth and architecture of the upper Midwest region offered in an endless variety of changing light, color, and topography." 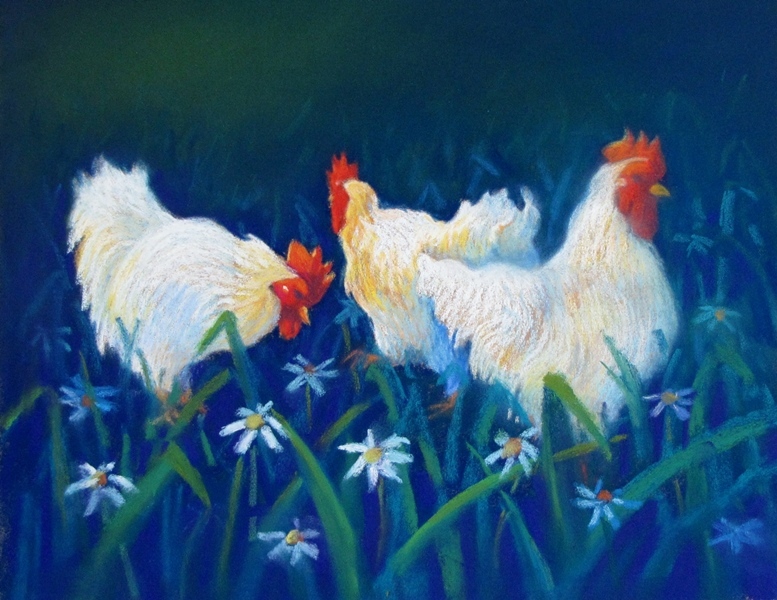 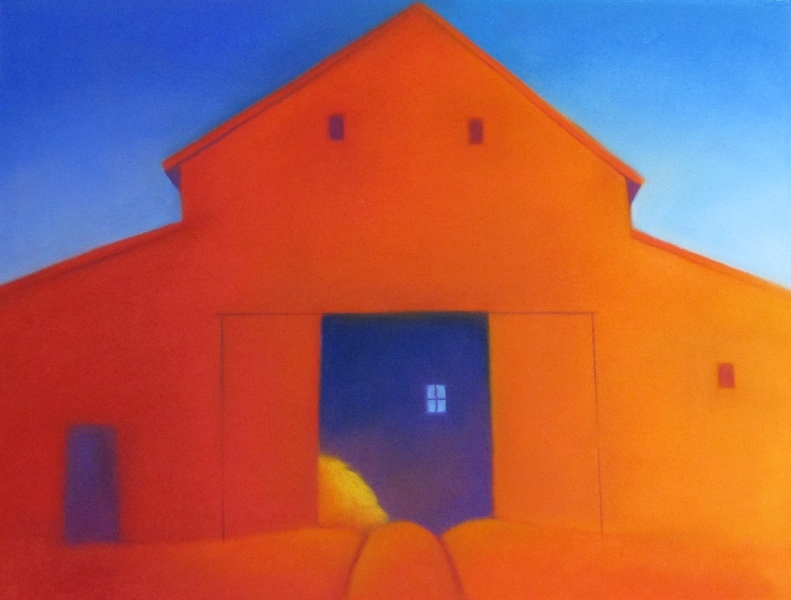 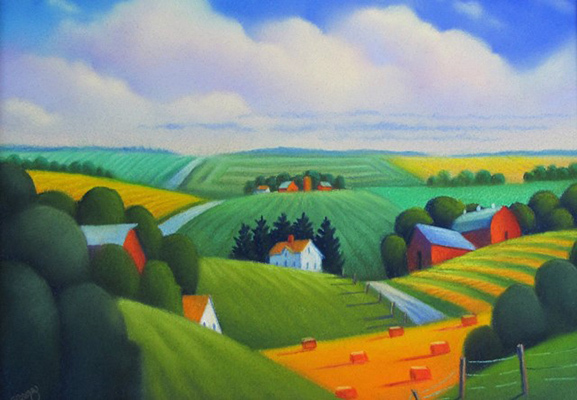 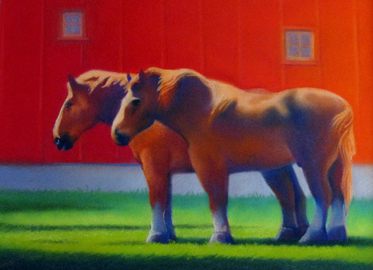 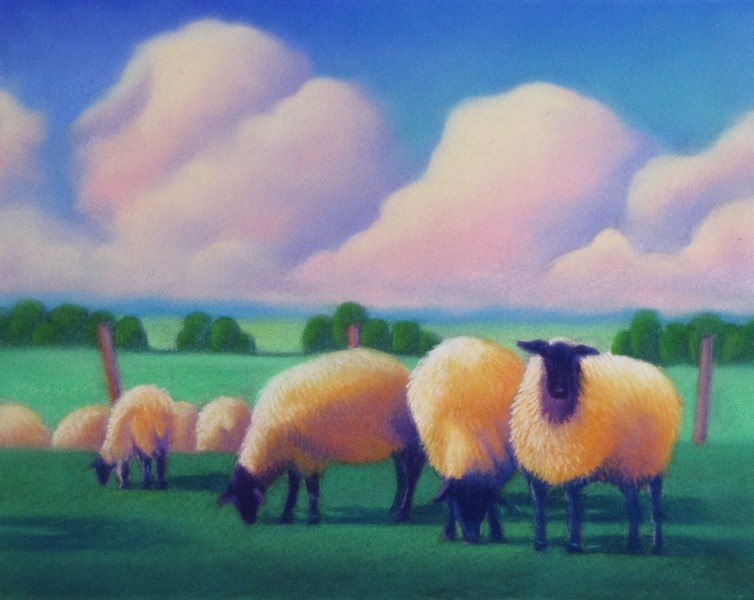 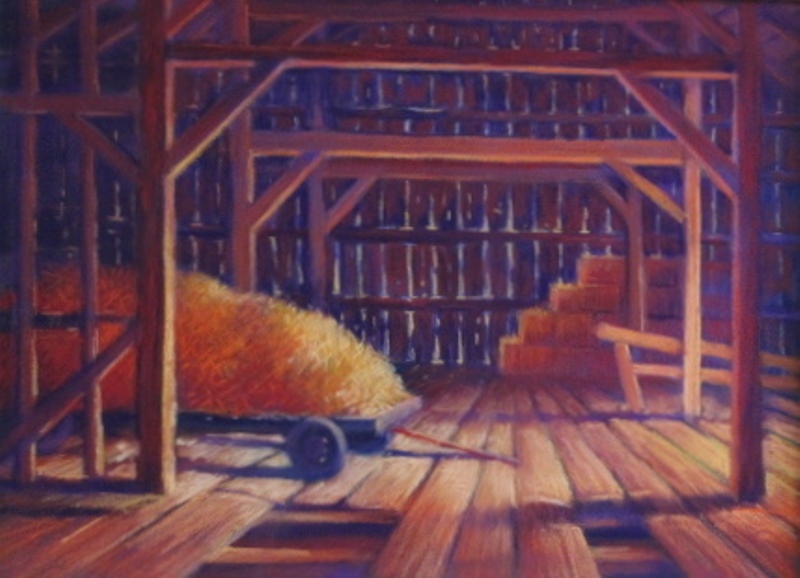 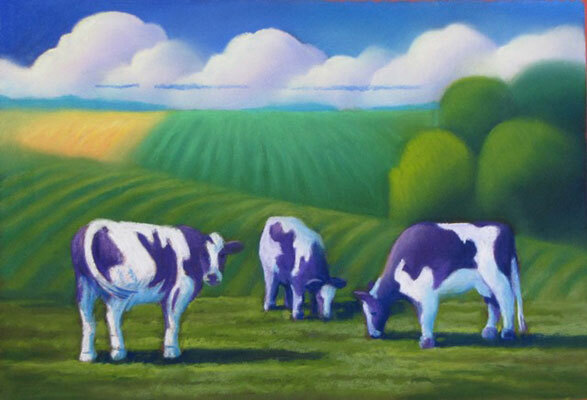 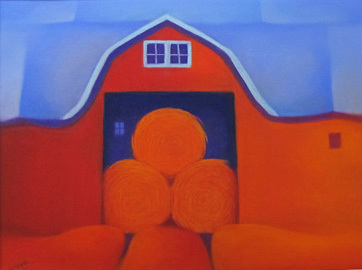 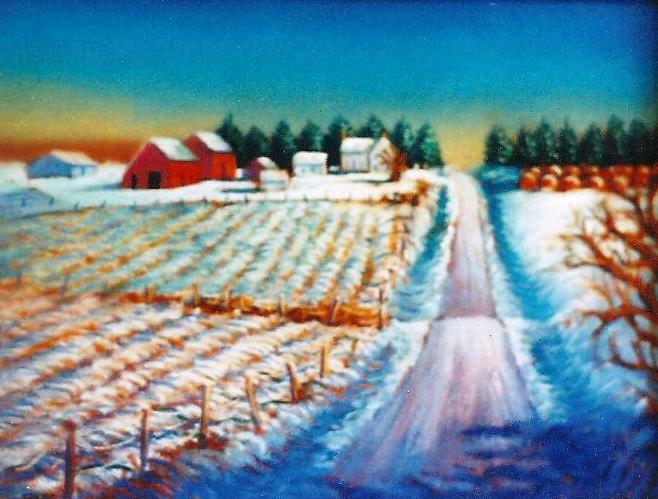 Gordon Kellenberger is a full-time painter working out of his Wasch Haus Studio in High Amana, Iowa, one of the seven historic villages of the Amana Colonies. 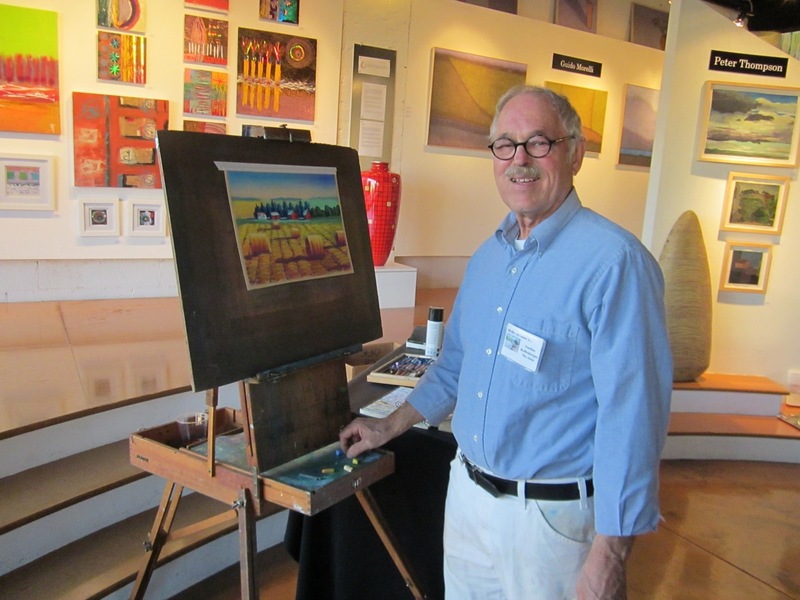 Gordon is a past recipient of the Iowa Arts Council's Iowa Arts Award, which honors individuals for their commitment to excellence in the arts. 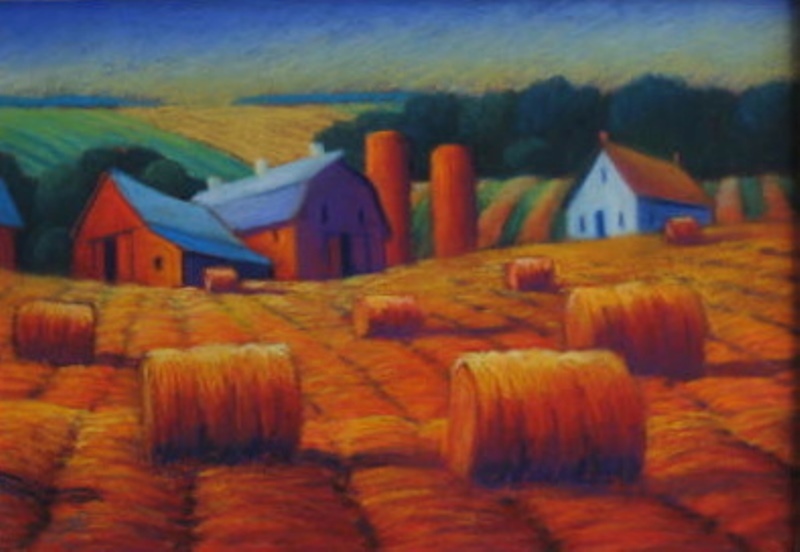 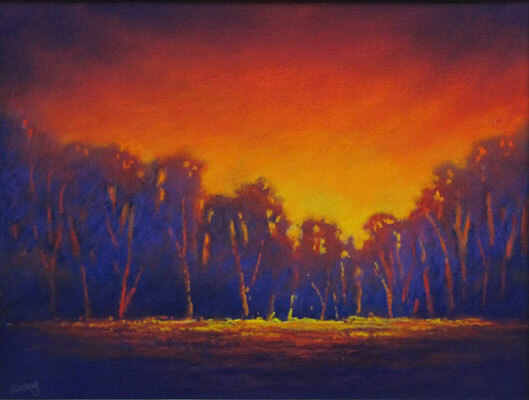 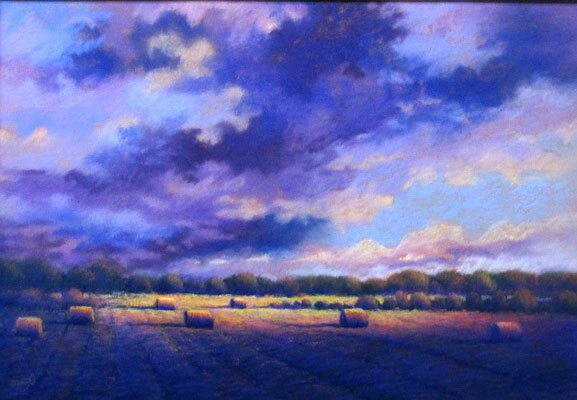 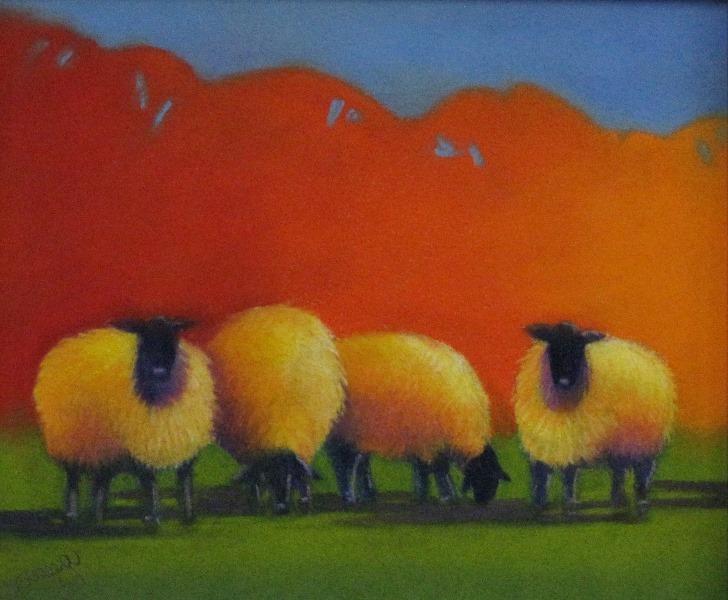 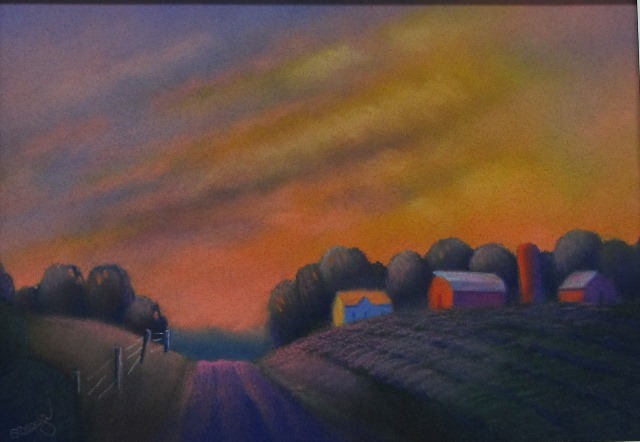 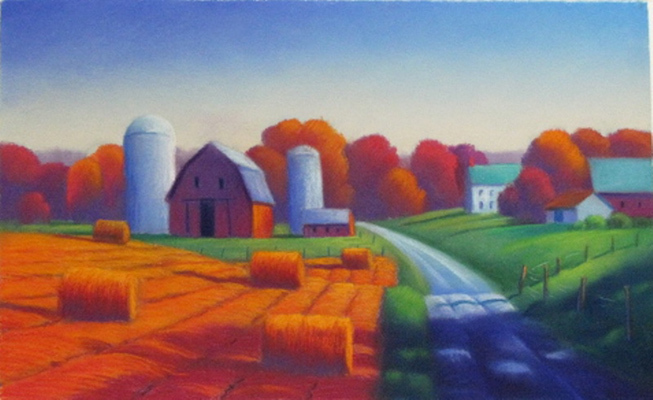 His pastels are found in many private and public collections throughout the United States. 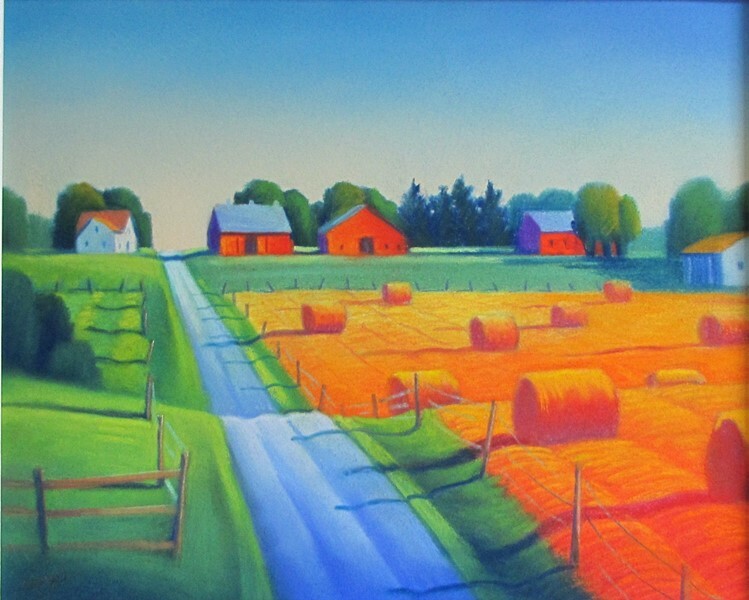 My inspiration comes from what I know best; the earth and architecture of the upper Midwest region offered in an endless variety of changing light, color, and topography. 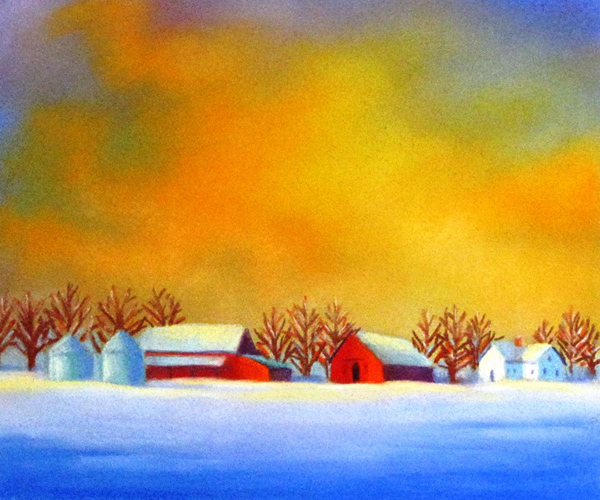 I tend to simplify my subjects and infuse them with bright and fresh colors. 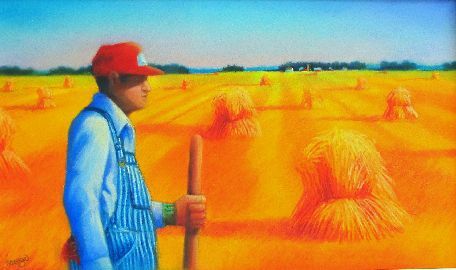 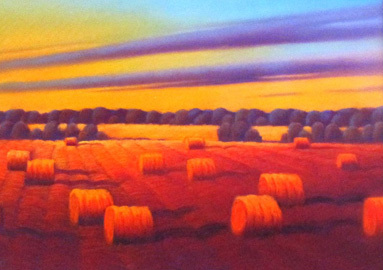 The resulting intensity and richness convey my delight in painting and my desire to express something good about rural America. 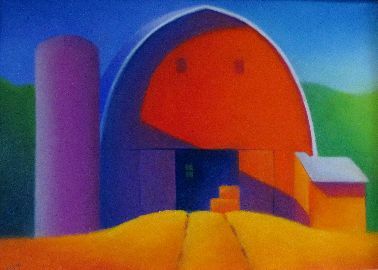 My work begins with a sound structure or composition and then becomes a work of contrasts; light against dark, warm against cool, sharp against soft, rough against smooth, organic against geometric... this along with the immediacy and intensity of the pastel medium makes painitng both challenging and enjoyable. 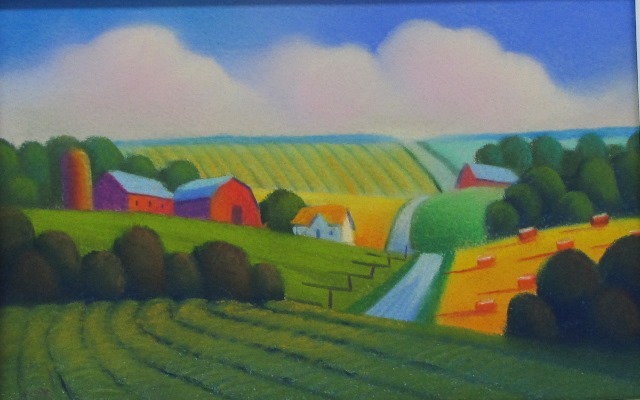 My hope is that the viewer will experience something familiar in a new way!